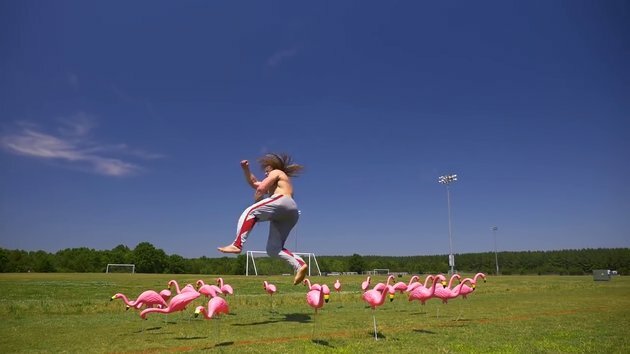 21 Flamingo Kicks in 11 second video! I've heard that the RSPPF ( Royal society for the Protection of Plastic Flamingos ) are searching for this dangerous person...police have advised members of the public not to approach him...and I can see why! Last seen heading for the salt Marshes! It's not even Kick a Flamingo Friday yet. That guy is my former neighbour! His stage name is Starbuck. He's a wrestler. Nice guy.